Over the weekend I made a chicken dish with bone on thighs, backs attached. It was $0.89 a pound so I purchased fifteen pieces. After I tried to brown the first five pieces the skin fell apart so I removed the skin from the remaining ten pieces. 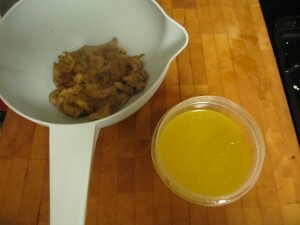 It was a decent pile of skin and I hate to waste anything so I decided to render the chicken skins to get chicken fat. 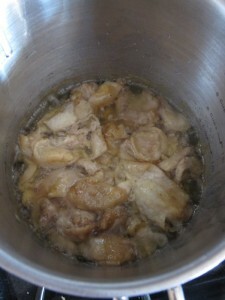 The process is simple: put the skins and trimmed fat in a pot on as low as it will go with about 1/4 cup of water. The water evaporates but provides enough moisture so the skins don’t fry. I let it go for about four hours on low and ended up with two cups of rendered chicken fat. The time could be greatly reduced but I kept it going in the hopes of crispy chicken skins but that never happened. 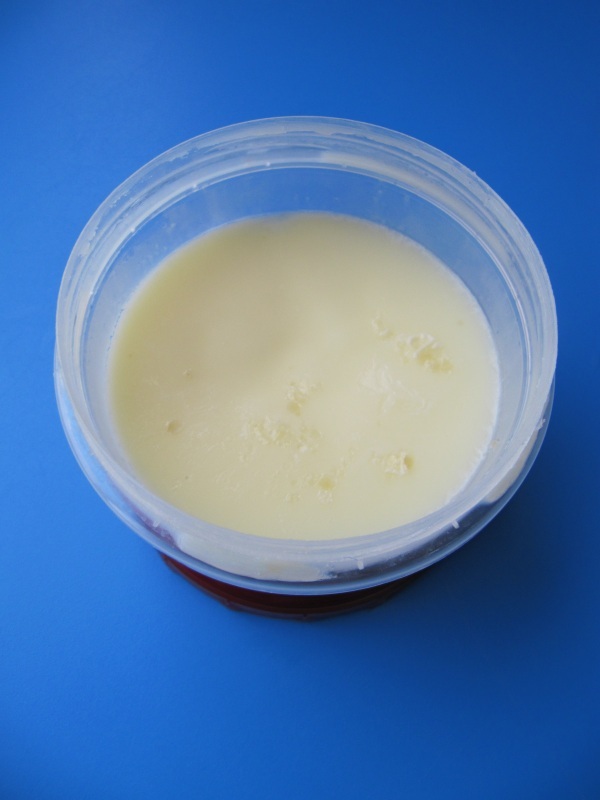 I kept the temperature on low so that the fat wouldn’t brown and get a cooked flavour. The pot’s contents were strained through a plastic colander; you can filter it with a cloth but I find you lose some fat in the cloth. The final cooled product is smooth and will be great for frying; some fine pieces of chicken skin settled on the bottom but I’m not concerned.